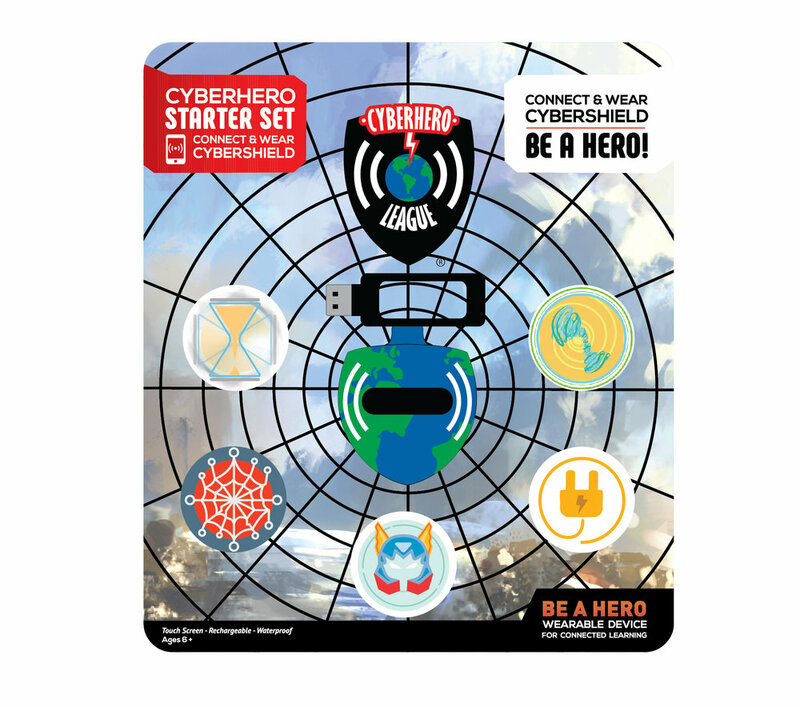 CYBERHERO STARTER SET™ includes CYBERSHIELD™ wireless hero device and five CYBERQUEST™ game medallions. The dynamic duo work to together to provide hours of fun. Kids sync the Bluetooth enabled hero device with the CYBERHERO LEAGUE™ App, scan a game medallion, and open a story that jumpstarts imaginary play. When they complete the adventure, kids unlock lifesaving aid for people, animals, and the environment. The game empowers kids with the ability to use digital technology to tackle global challenges and co-create their future. STEAM-oriented content means they learn while they play. CYBERHERO LEAGUE® gives kids the opportunity to learn about and achieve the United Nations' Sustainable Development Goals. Players hike through imaginary jungles, sail the seven seas, climb the highest mountain peaks, and explore World Heritage Sites, but when the Adventure is over, they earn lifesaving aid for real people, animals, and the environment. Kids become real world heroes using the tools of digital technology, all while playing games and learning across the fields of science, technology, engineering, arts, mathematics. Kids develop empathy and compassion for others while becoming globally-aware activists. Awareness Events give kids hands-on experiences related to the Global Goals. Our first Awareness Events focused on SDG 1 & 6, No Hunger and Clean Water & Sanitation, supporting the work of charity: water and NWA Food Bank. To bring awareness to Global Goal 6, Clean Water & Sanitation, we launched a scavenger hunt during the Tribeca Family Festival. The scavenger hunt introduced players to the work of charity: water, a NYC-based nonprofit organization. 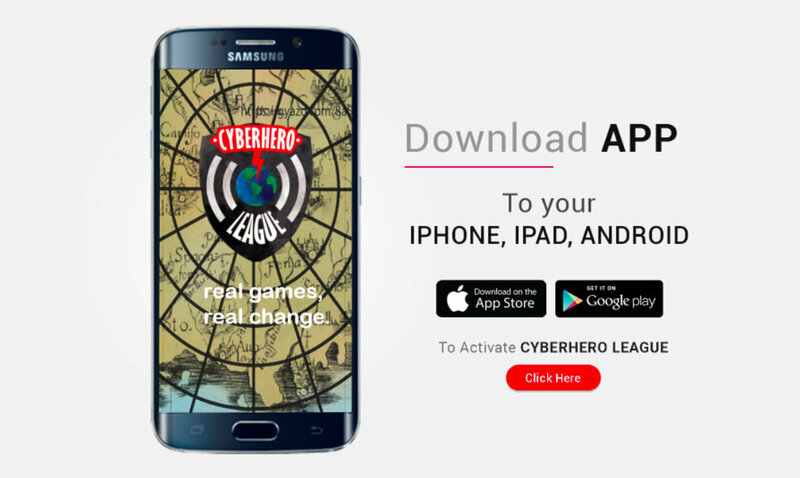 CYBERHERO LEAGUE is a new kid on the block, but we're already making a big impact. In our beta development phase, we've fed 2000+ people, contributed to research in heroism science and educational gaming, & received recognition in the gaming industrry. Through partnering with NWA Food Bank we contributed 2000+ meals and raised awareness about hunger. Cyberhero League is the subject of transdisciplinary research and is pioneering new forms of Heroic Play. CYBERHERO LEAGUE® empowers kids by giving them the opportunity to learn about and achieve the Sustainable Development Goals.